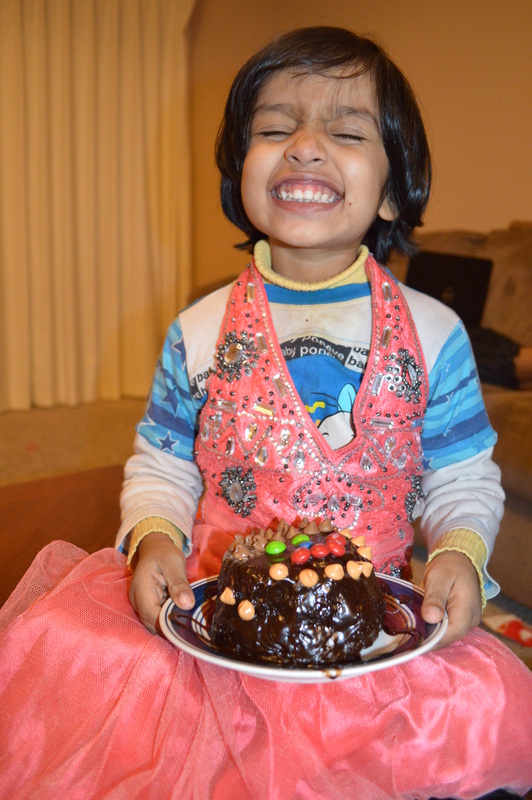 A Three Minute Cake for My Sweetie | My Journey So Far…. 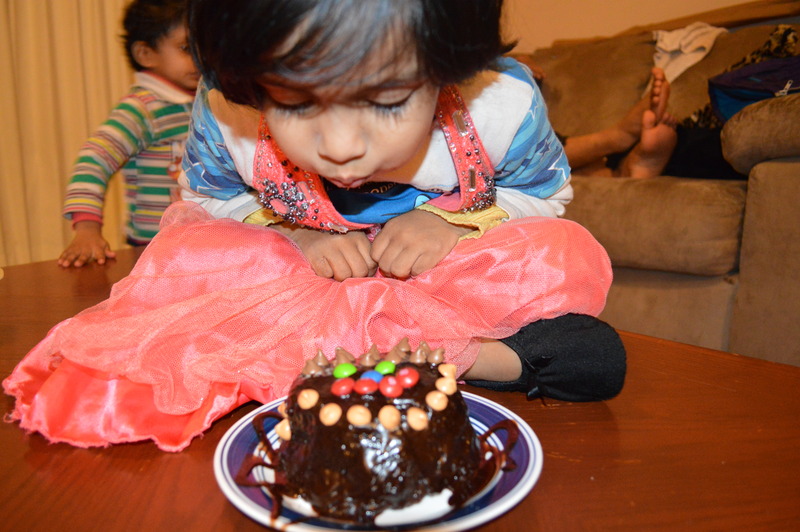 My baby Tisha turned three, and all that she was bothered about, was her birthday Cake. So, we booked a Tinkerbell Cake for her Birthday party, which was on Saturday. Big Problem : Her birthday was on Friday, 27th December. We wished her, pampered her in every possible way on Friday, but she was still not in the Birthday mood. We took her to an animated movie, got new clothes for her, gave all the attention that she deserved on her special day. Still, she was like “No, It’s no Birthday”. I have baked cakes before, but this time I wanted to try something which is quick and easy to make, taste doesn’t matter. (I am not gonna eat it, so why does it should matter 🙂 ). I was going through all the cake recipes, when I stumbled on this easy to make 3 minute chocolate mug cake. Voila!!!! Add and mix all the dry ingredients. To this add Egg and mix really well. Pour in milk and oil as well to make it smooth. Add Choco chips and vanilla extract. Mix well. Microwave it for three minutes on high. 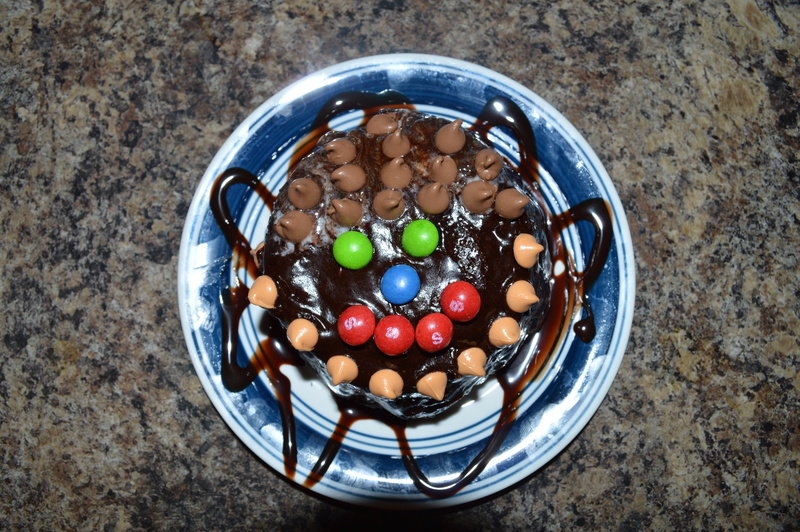 I used some M&Ms and chocolate for decoration. All it took to make this cake was 5 minutes. Pingback: Mouthwatering Monday – Milk Peda | My Journey So Far….